Jeans made in rigid denim dyed with green cast indigo. 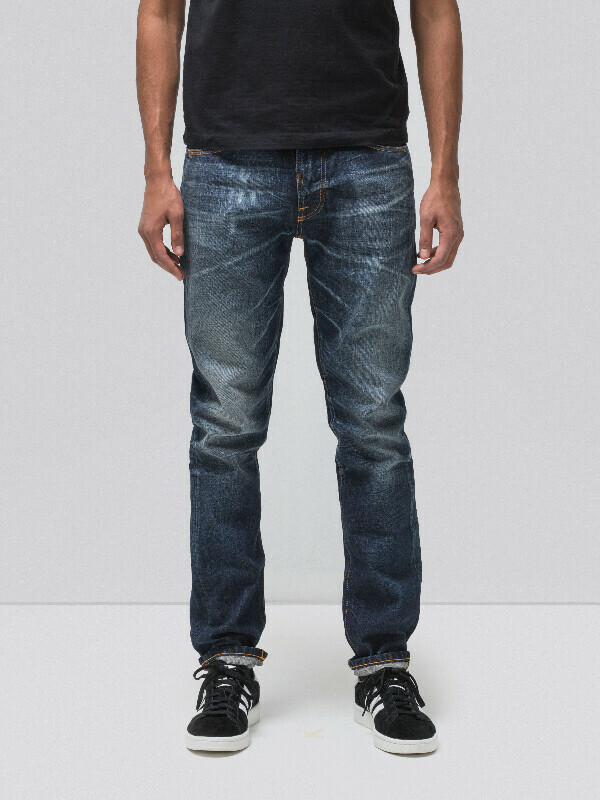 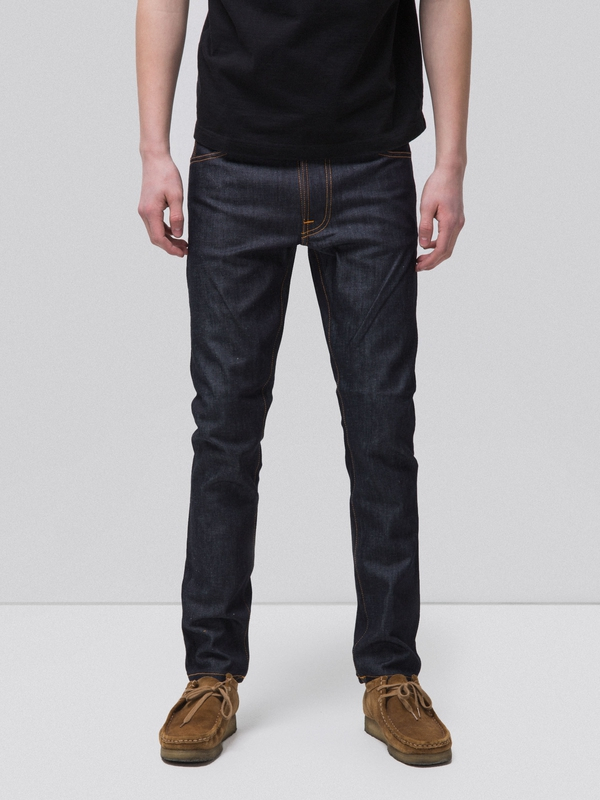 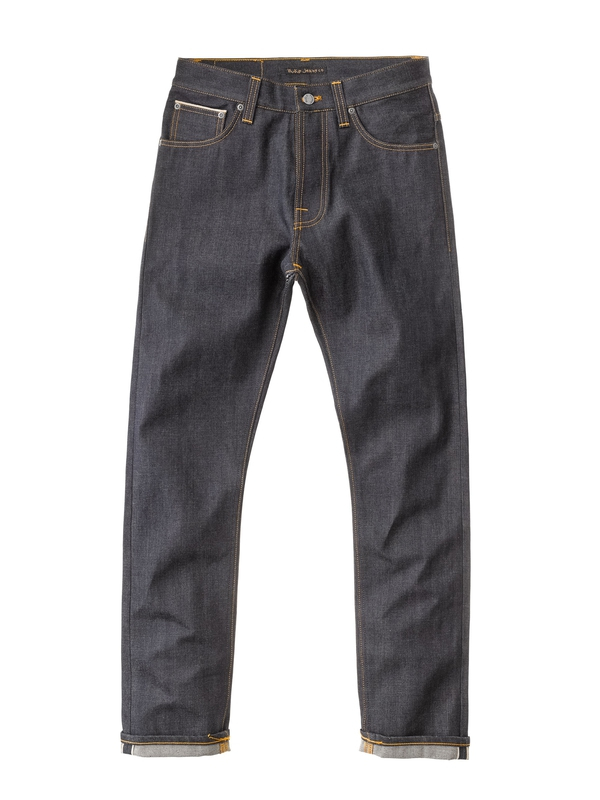 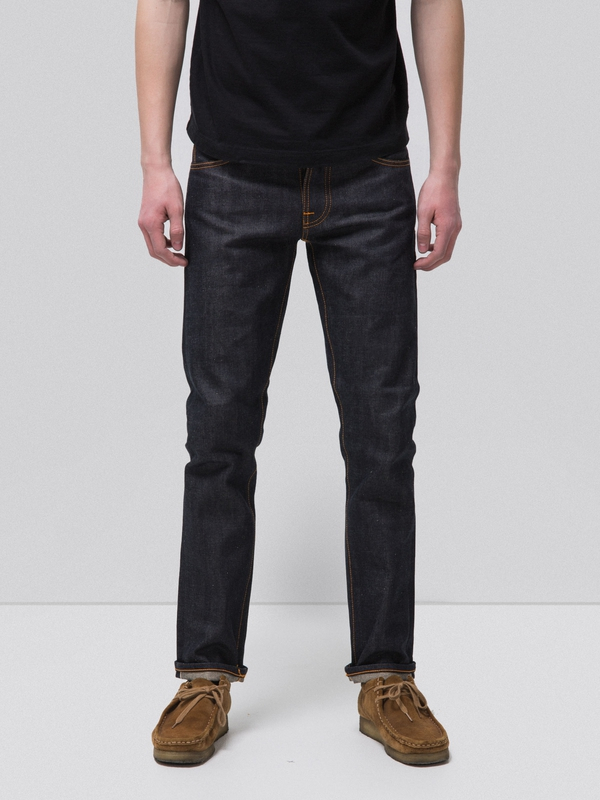 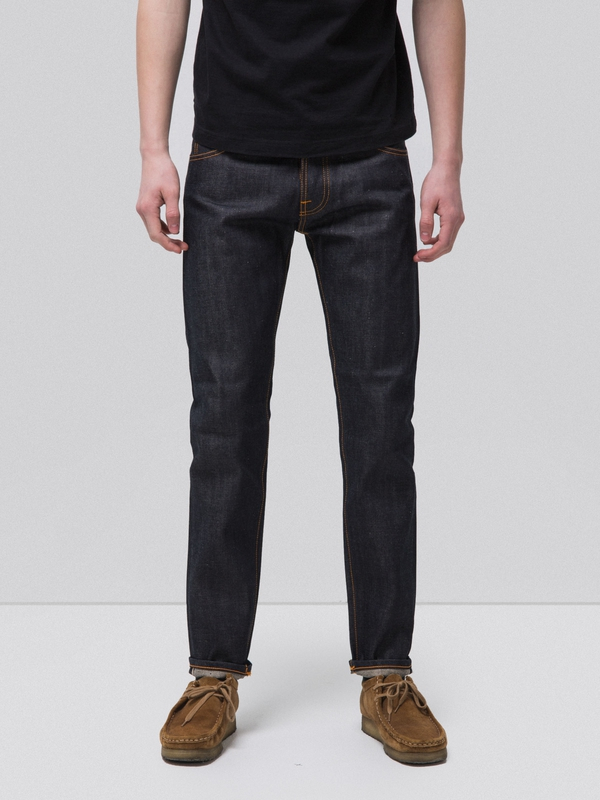 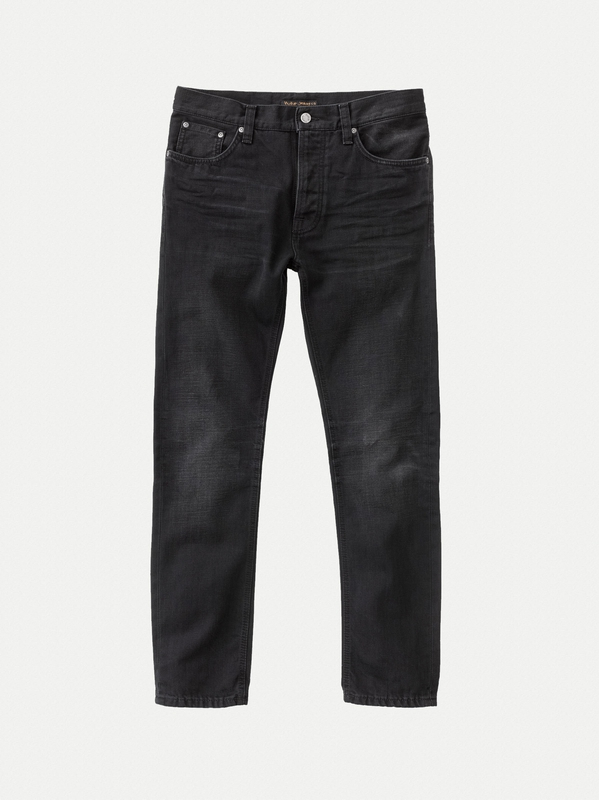 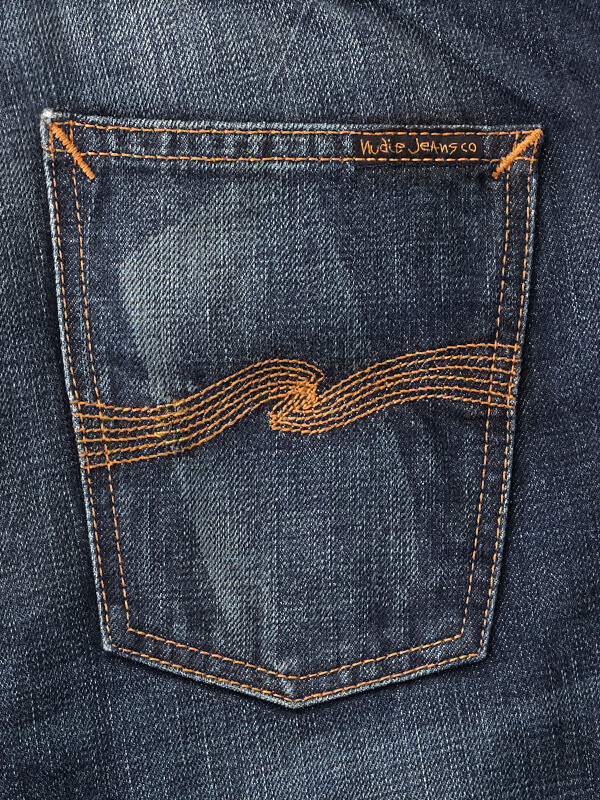 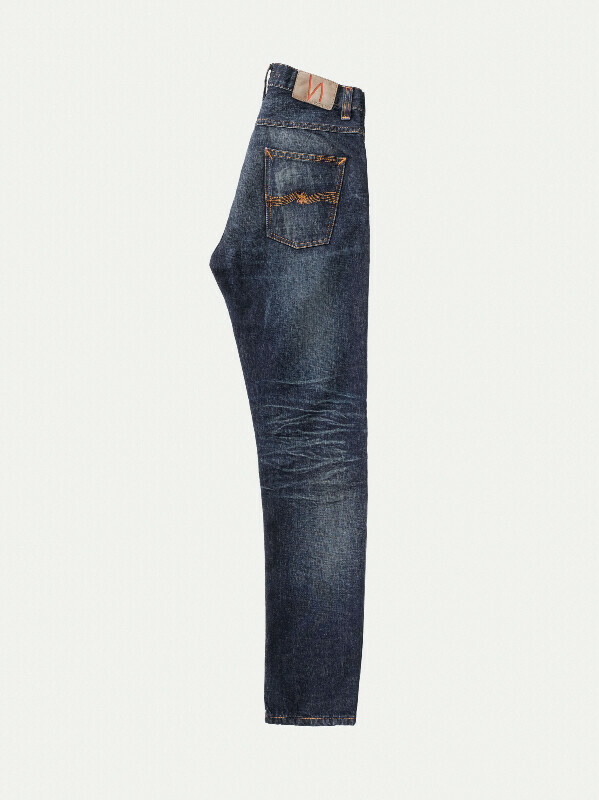 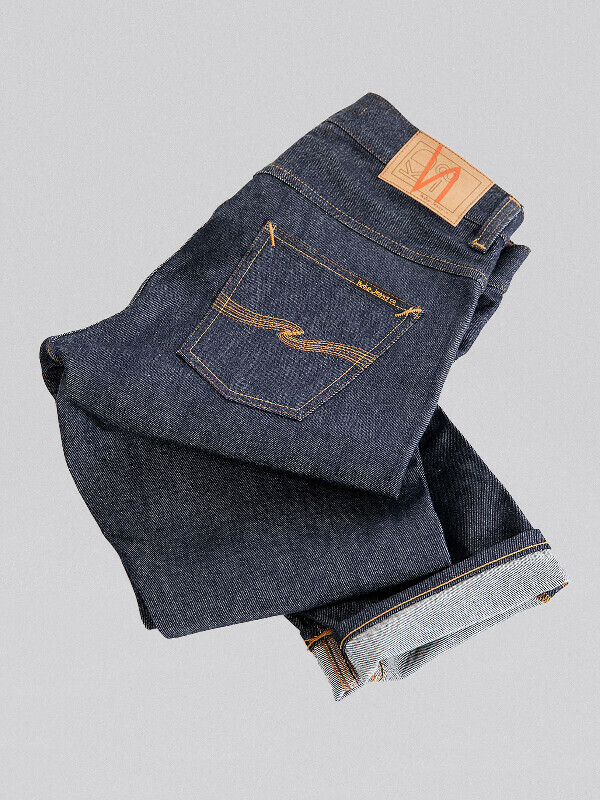 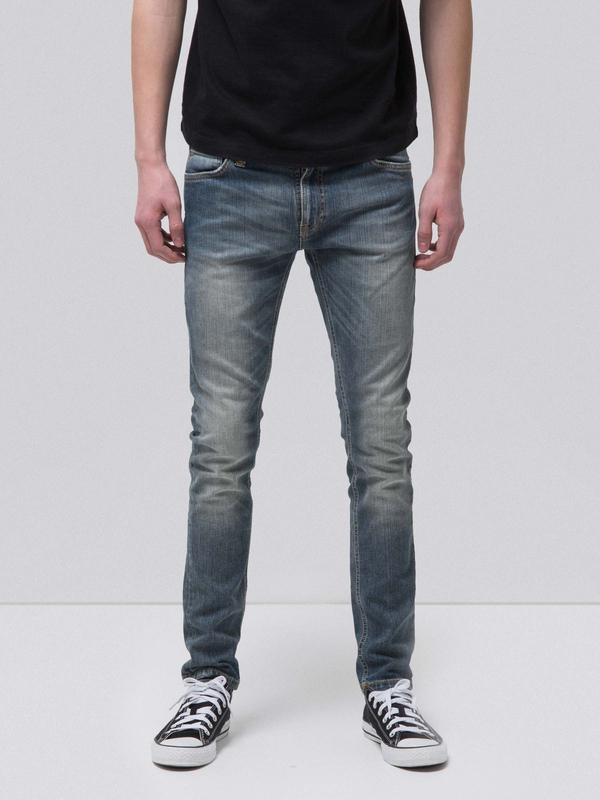 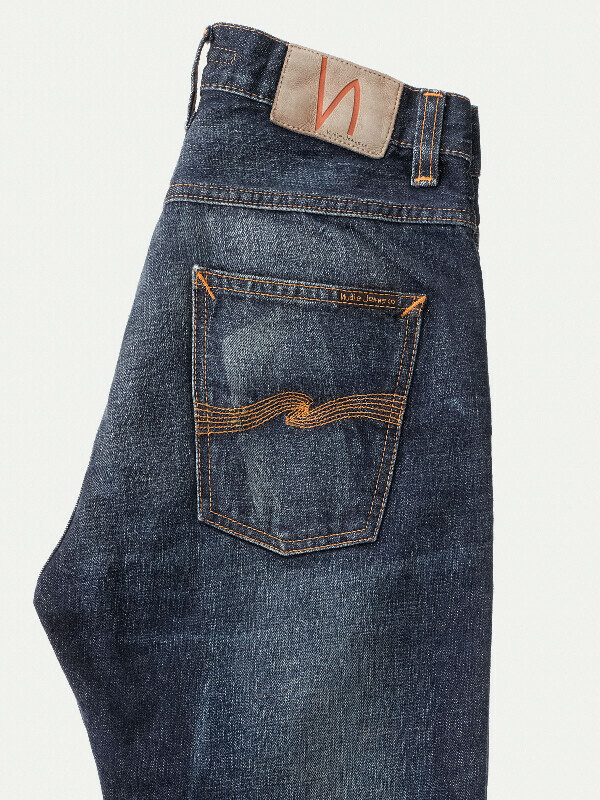 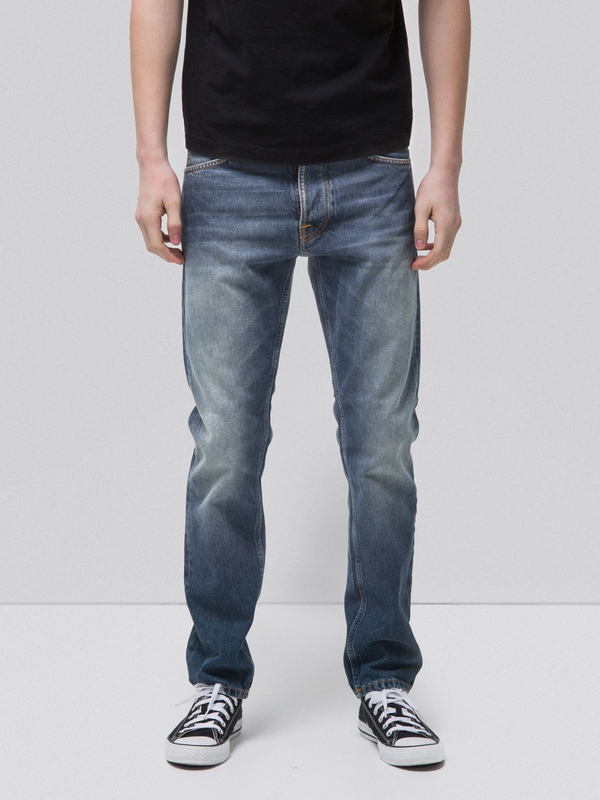 The original jeans were a pair of Thin Finn Dry Selvage that were worn every day for 9 months. 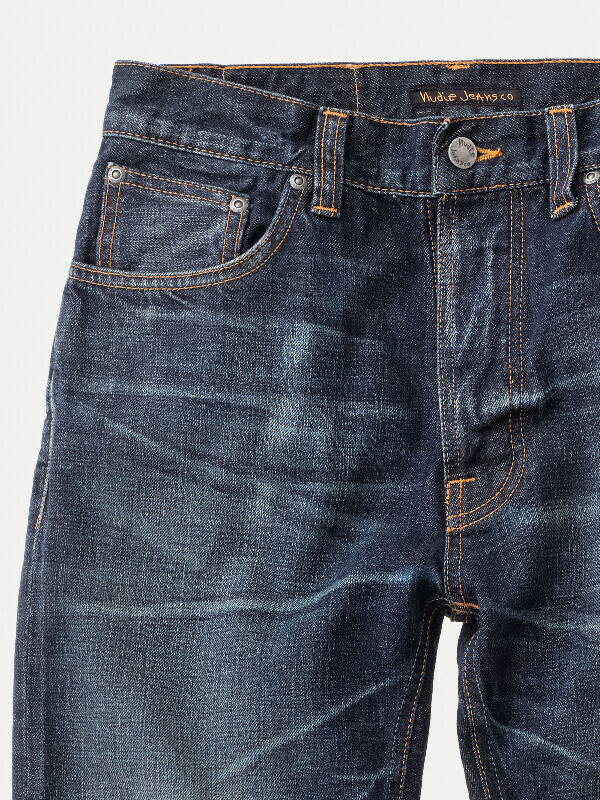 The first wash was then inevitable. 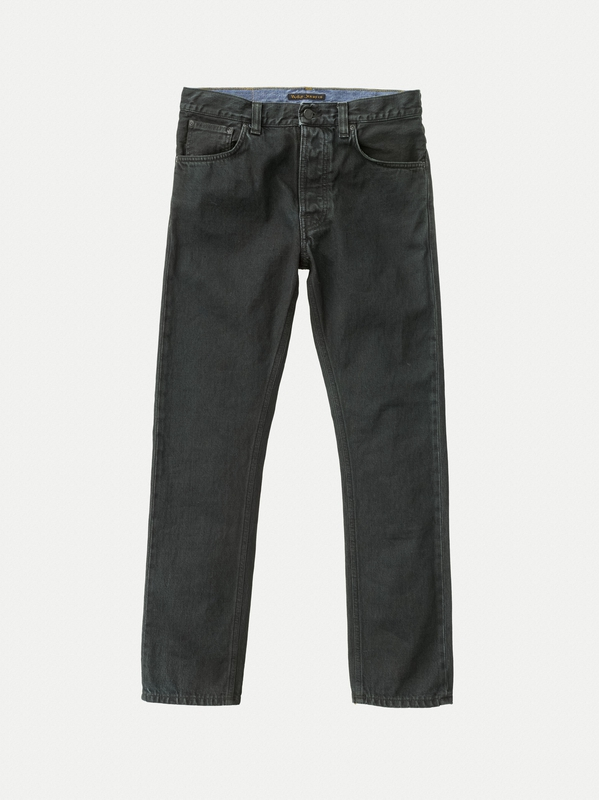 Jeppe came back from a rainy Roskilde Festival with the jeans in a plastic bag because they were so dirty he just couldn't wear them anymore. 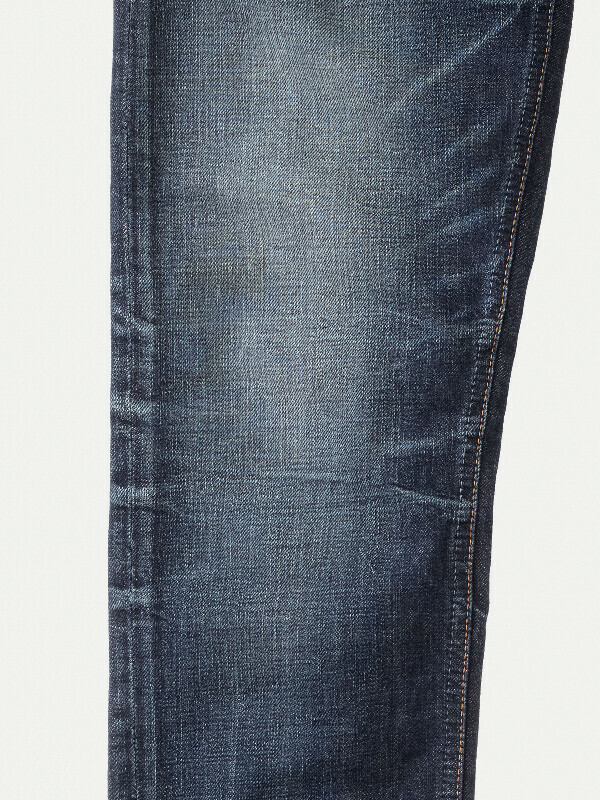 Now you can give these jeans a new chapter.